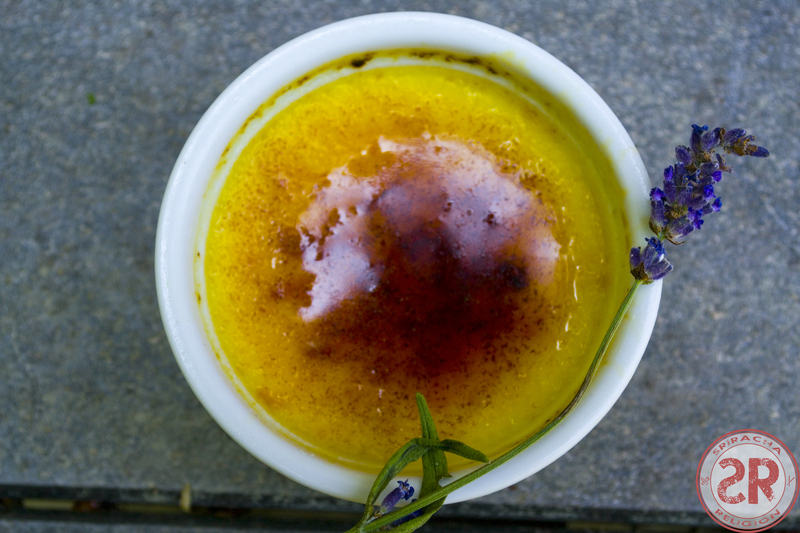 Creme brulee, a French dessert that is a rich custard made of eggs and heavy cream, top with a layer of caramelized and harden sugar. 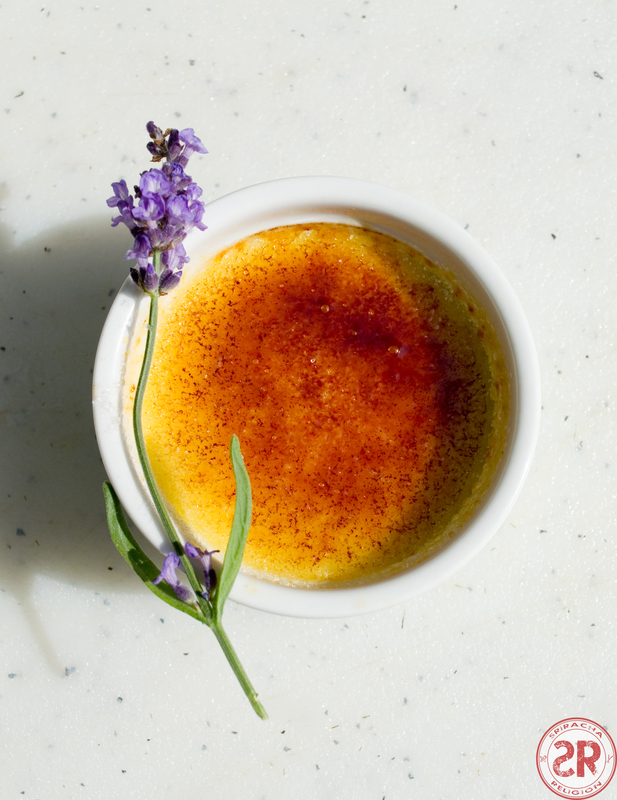 The term creme brulee means “burnt creme,” as you normally torch or broil sugar to create a crunchy shield above the velvety custard. 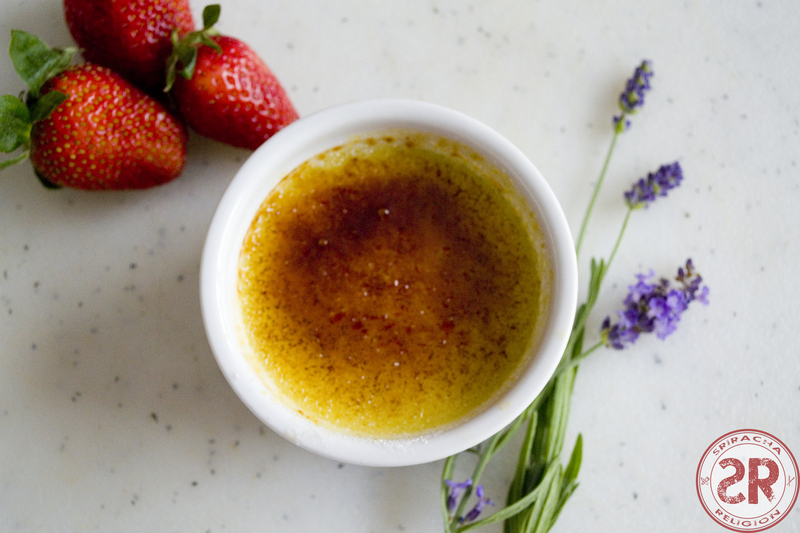 To make this French sweetness a little Asian, I infused the cream and sugar with ginger. It was so delicious I skipped dinner and ate three of these. Worth it! 1 large ginger root, about 3 inches long, peeled and cut into slices. 1. In a sauce pan, warm up your heavy cream, add 3/4 of the ginger slices and simmers until boiled. Set aside to cool for about 30 minutes. 2. While the cream cools, add the rest of the ginger slices to the sugar and mix well. Also let it sit for for about 30 minutes. 4. Strain the cream and discard the cooked ginger. 5. Remove the ginger slices from the sugar. 6. Combine the ginger fragranted sugar and egg yolks. Gradually add the cream while you whisk everything together. 7. Pour your custard to ramekins. Do not top off the ramekins, only fill up to 3/4 of each cup. 8. 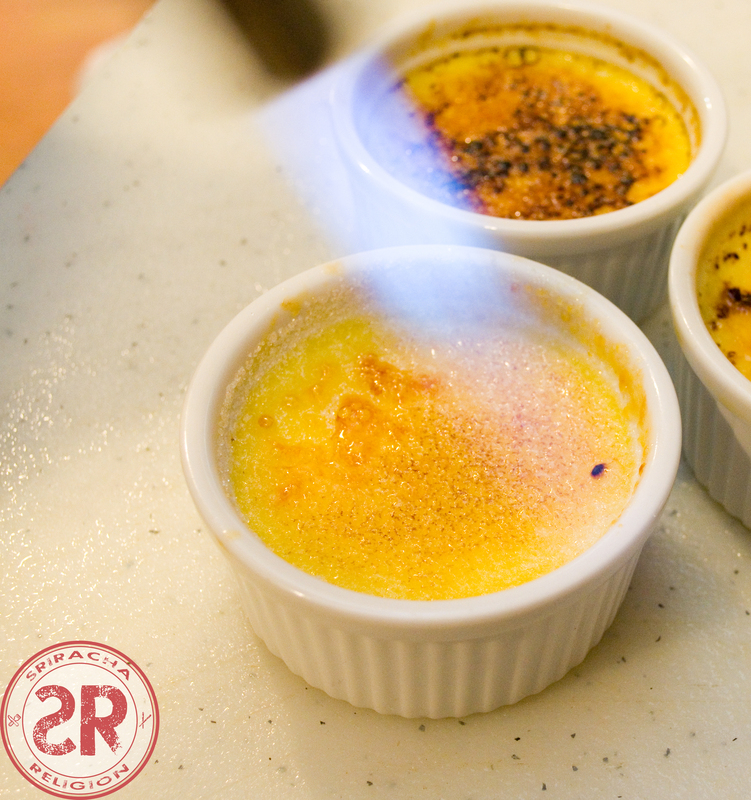 Place ramekins into a large roasting pan, pour warm waterto pan and fill it halfway up sides of ramekins. 9. Bake at 325 degrees for 45 minutes. Remove and let cool for about an hour. 10. With the remaining ginger sugar, sprinkle about 1 teaspoon over each custard, spread evenly. 11. 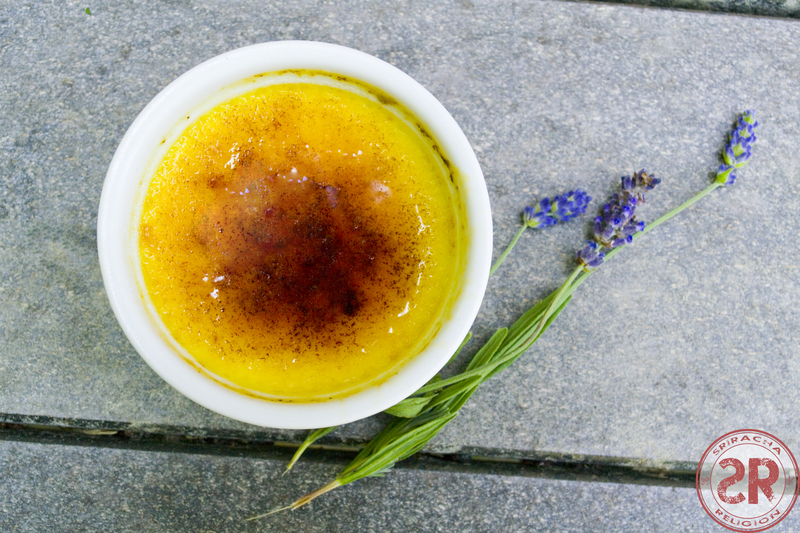 If you have a torch, torch each custard until the sugar turns golden brown. 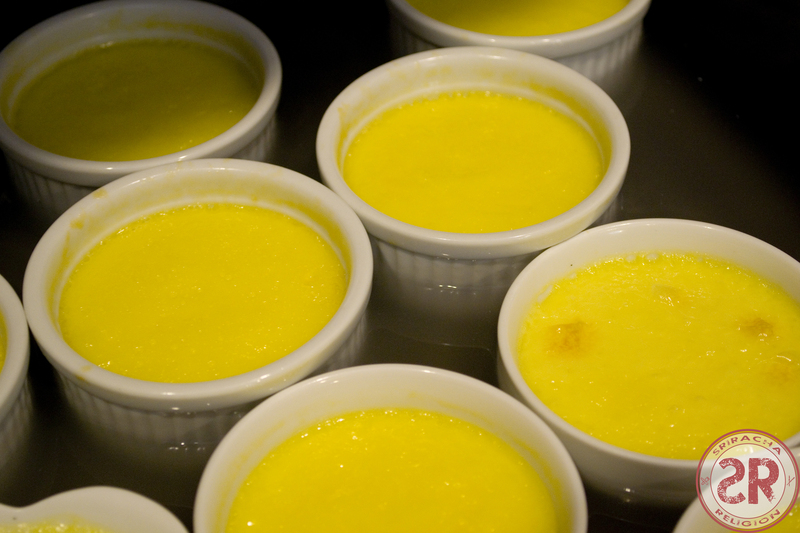 If no torch, place custard under the broiler for about 1 minute. Remove once the sugar turns caramel. 12. Let custard cool in fridge until the shell hardens, about 15 minutes.